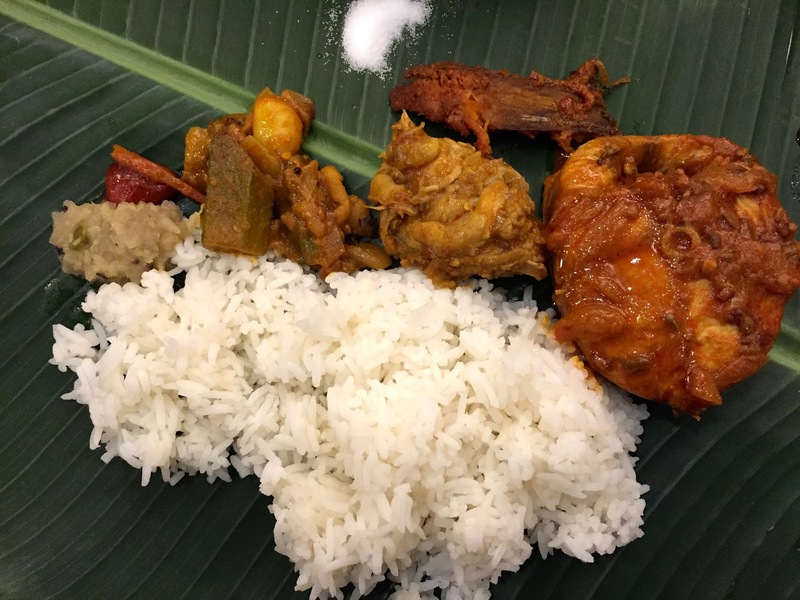 Muthu’s Curry started out from a humble stall on Klang Road in the 1960s (known as Muthu Makan shop) has come a long way and is now the go-to destination for authentic South Indian food. Nothing has changed much, tradition is going strong at this 46-year old restaurant on Race Course Road. The food quality, attention to detail, and creative use of ingredients are still at the forefront. To cope with the growing customer base of keen following and foreign nationalities, Muthu’s Curry underwent major renovations in 2004 and recently added new interior design elements and rustic surroundings inspired by homes and palaces of Chettinad in South India, which is also the birthplace of the brand’s late founder Mr Ayyakkannu. In celebration of Muthu’s Curry 46 delicious years in Singapore, the iconic Indian restaurant introduces a limited-edition, heritage menu named Mannuvasanai – which is Tamil for “Fragrance from the Land“, featuring signature and authentic Chettinad dishes that are often enjoyed during meal times at home and elaborate banquets. Set up by a Chettinad native in the kitchens of Muthu’s Curry, the Mannuvasanai menu serves up historically accurate dishes from the Chettinad region. Quality ingredients and traditional presentation meticulously prepared for the Mannuvasanai menu takes diners on a heritage journey to the city of Chettinad. The limited-edition Chettinad menu is made up of five traditional dishes involving a balanced concept of nutritional contents, textures, colours and precision cutting. 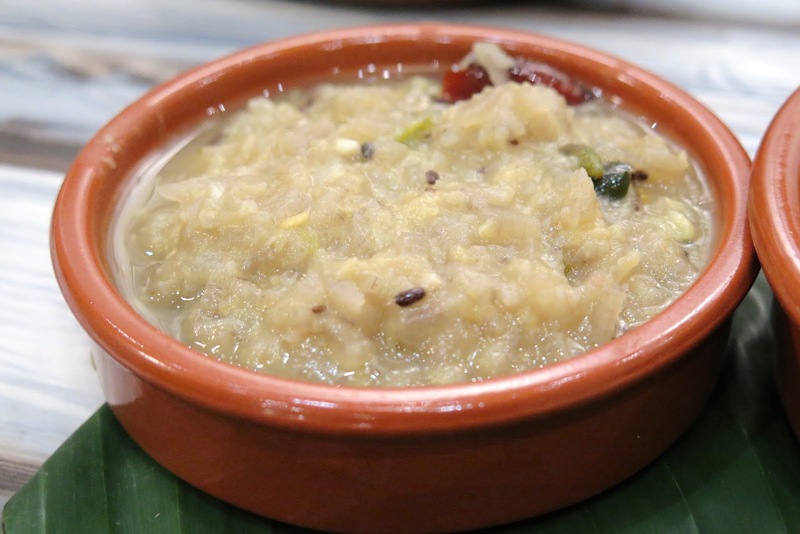 Starting with the first banana dish – Vazhathandu Kootu is made from chopped banana shoots and cooked in a low flame with a mixture of moong dal (yellow split lentis), coconut milk, cumin seeds and green chillies. This palate-awakening dish is rich in fibre and potassium, which adds nutrition (good for the bladder) to our diet. A familiar sight at many Indian restaurants – Vendaikkai and Mochai Mandi, a lady’s finger tamarind gravy dish cooked in unpolished rice water and tempered with tamarind juice, chilli powder, coriander and whole garlic. The bold and tangy gravy dish is added with cannellini beans (white kidney beans) for a firm texture and nutty flavour. Apart from the abundant supply of plant-based healthy protein, the rice water used for cooking this dish provides numerous health benefits, one of which is great for cooling the body in hot weather. 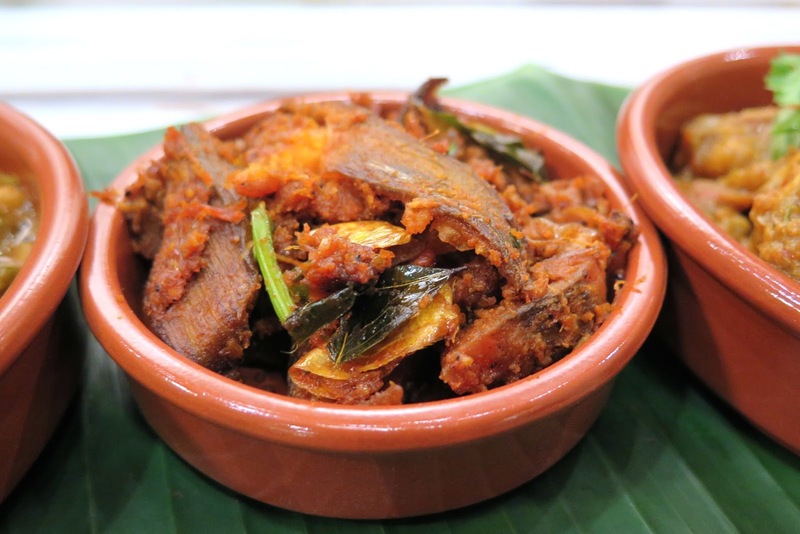 The next potassium-packed dish – Vazhakkai Varruval, is also made from bananas but unripened ones. Raw bananas are peeled, and cut into small pieces, then marinated in turmeric, chilli powder, cumin, fennel and coriander before they are lightly battered and shallow-fried in aromatic thadka base of curry leaves, cumin and fennel. No one could possibly resist this stir-fry dish that is lightly crisp around the edges, coated with Chettinad spices that brings an unexpected punch of flavours. This dish is really addictive! 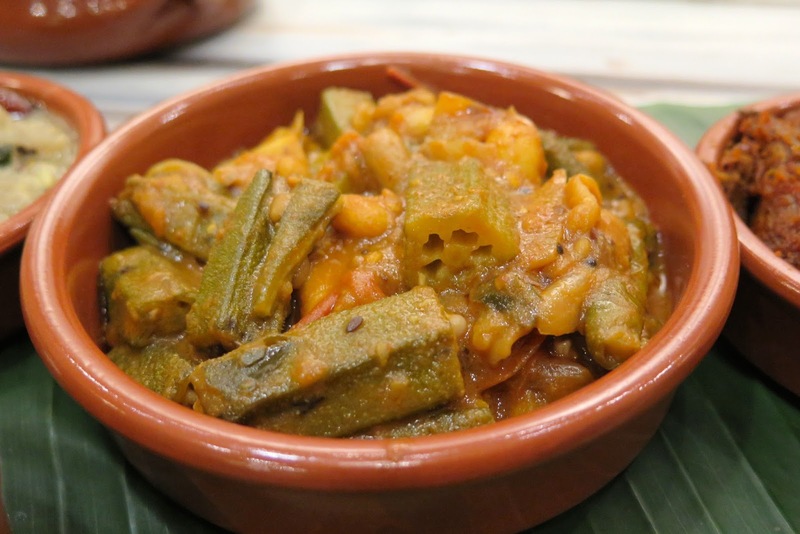 Suggest a dish that brings nostalgia memories of grandma’s cooking – Milagu Varutha Kozhi, a traditional Masala dish empowered with the fire of chillies, pepper, ginger and the comfort of garlic. 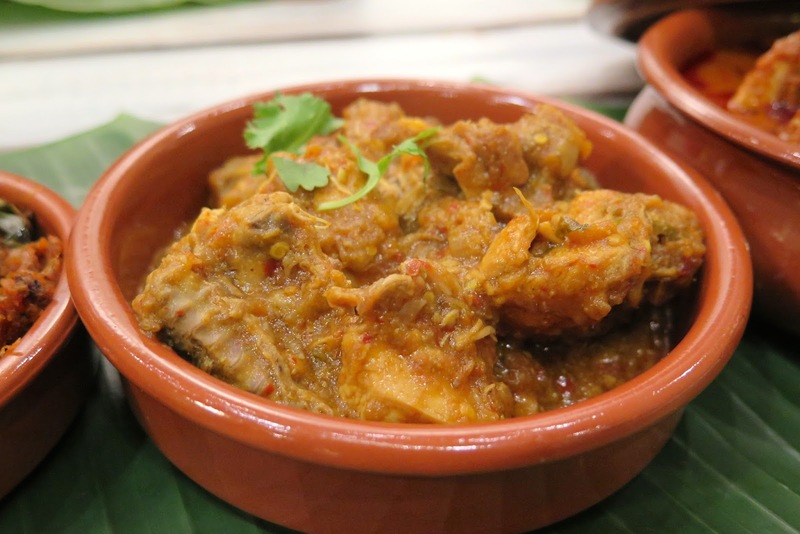 One hour of simmering is enough to break down the ingredients, meld the flavours and just before the chicken meat falls apart, you might want to standby the homemade buttermilk which is a necessary complement to calm excited tastebuds and balance the spice. The last dish which completes the Mannuvasanai Menu – Vanjaram Meen Kulambu (featured above) is a spicy, flavourful and authentic Chettinad fish curry prepared with only the freshest tenggiri (mackerel) thick-cut fillets and chef’s special masala marinade of tangy tamarind juice, turmeric, garlic, ginger, green chills, shallots and savoury tomatoes swimming in the perfectly spiced coconut milk broth. There is no hard and fast rule on which dish to begin with. 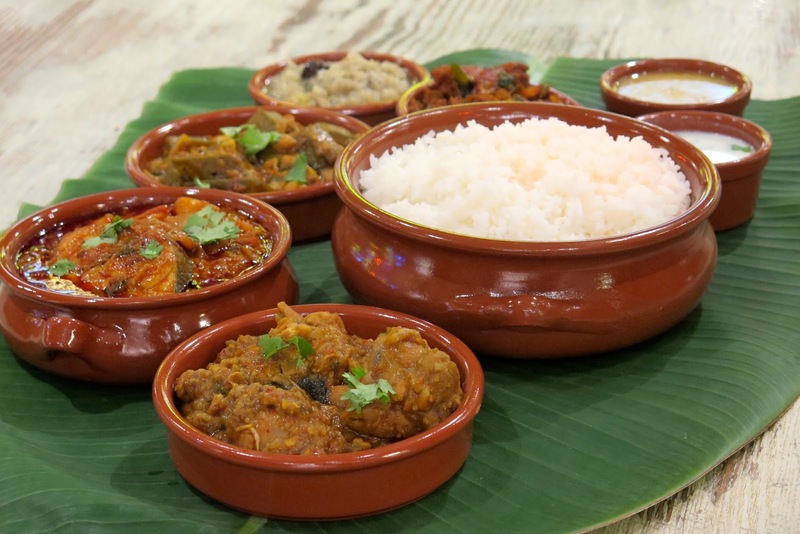 The 5 different type of dishes can be eaten separately or in sequence, starting from the lighter Vazhathandu Kootu, to the heartier Vanjaram Meen Kulambu, presented in pretty terracotta pots and then served on a banana leaf where you unfold a delightful cultural and culinary experience. A small spoonful of salt is usually added to the guest’s plate to symbolise the bond between host and guest. Finish off the meal with a sweet Payasam – the typical South Indian rice pudding mixed with tenders slivers of young coconut for a refreshing touch. 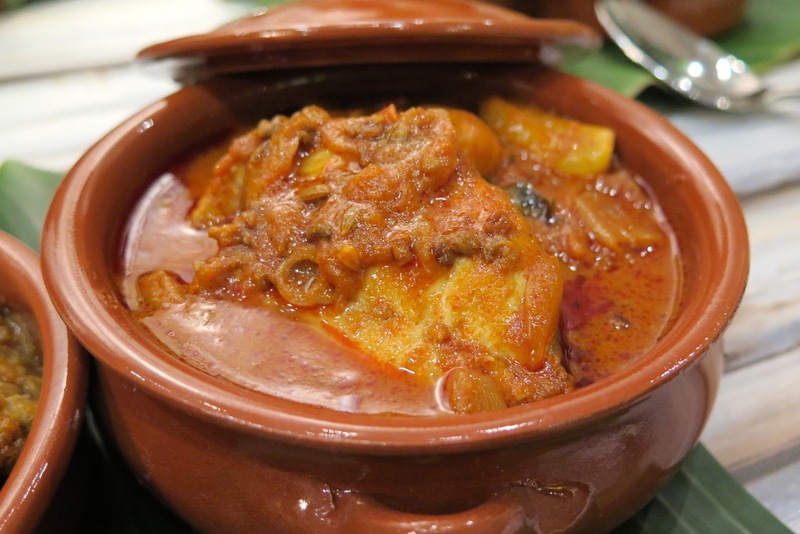 If you are too full after eating the Mannuvasanai meal or leaving in a hurry, make sure you come back for the award winning Fish Head Curry ($22/$27/$32) which is strongly recommended for every curry lovers. 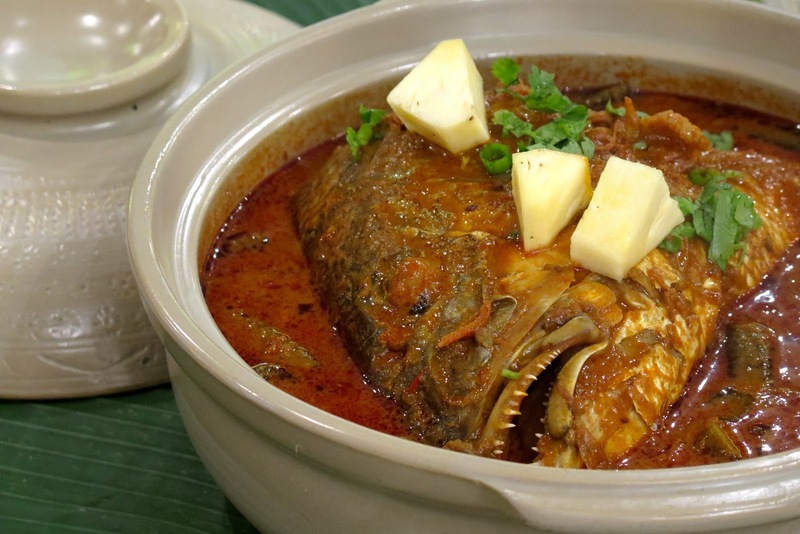 The signature fish head curry at Muthu’s Curry is served with juicy okra and pineapple chunks in a rich gravy blend of aromatic spices that are unique to Muthu’s. The restaurant has created a special retreat for its customers, where one can relish the taste of signature dishes from the Chettinad region. The diverse flavours of all the ingredients and spices used bring an authentic taste of food to every dish which makes the food here very tempting. A very commonly made statement is that Indian food is unhealthy. In my opinion, Indian food is just like any other food which can be prepared in a healthy way and an unhealthy way. It really depends on how much you consume and what ingredients are used in the preparation of the dishes. With an open mind and a little sacrifice in taste, everyone can still enjoy Indian food.